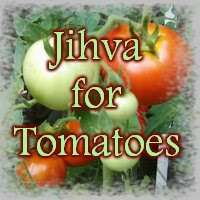 Experimenting with Tomatoes which is the JFI for the month of April, hosted by RP of My Work Shop, I tried a new dish. 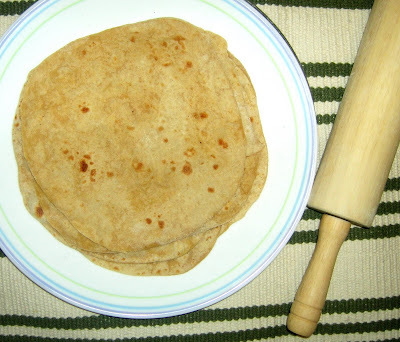 I actually wanted to contribute some gravy with this versatile vegetable and finally landed in preparing delicious Tomato Chapathis. Awesome delight for Tomato Lovers. Here's how I made. Heat Oil in a Kadai and add the Cumin Seeds, then add the Chopped Tomatoes. (Blancing the Tomatoes is optional). When the content heats up add the Red Chilli Powder, Turmeric Powder, Asafoetida Powder and Salt. 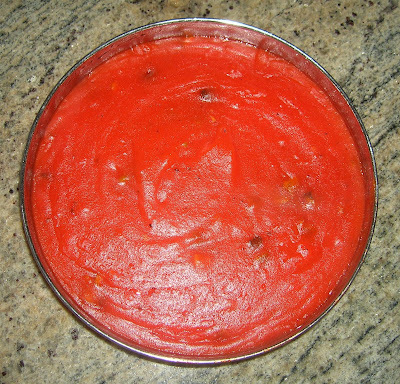 Fry the Tomatoes until the Tomtoes are well mashed and blends into a gravy. Add Wheat Flour little by little to the cooled gravy. Add little water only if required. Knead the dough well. Do not add oil or salt as the gravy already contains those ingredients. Proceed like doing the regular chapathis. Make small balls out of the dough. Roll and Toss in the hot Tawa. 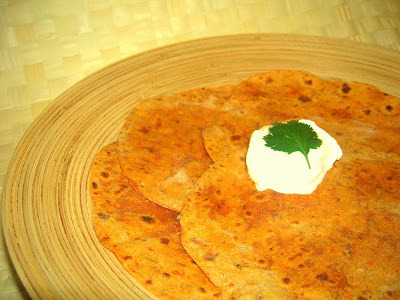 Use Ghee on both sides, if the chapathis are consumed immediately or use Oil if its going to be consumed after some time. 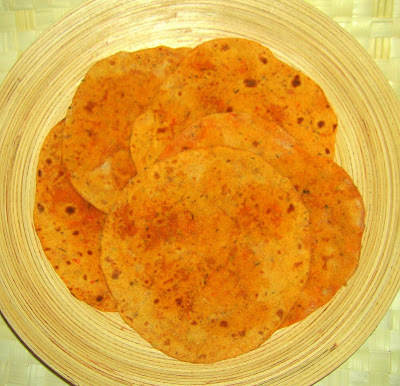 These colorful Chapathis go well with a dollop of Sour Cream or Yogurt. No other special gravy required. 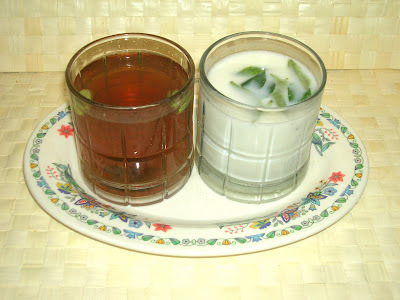 Today is Sri Rama Navami and its a tradition to offer Panaka ( Sweetened Water) and Majiga Neeru (Diluted Butter Milk) as Prasad (Neivedyam) to Sri Rama. Lord Sri Rama's Birthday is celebrated every year as Sri Rama Navami. Mix all the ingredients and stir until even distribution. Heat Oil in a Kadai and Add the Ginger Garlic Paste. Add the chopped onions and fry until the onions turn light brown. Add the Chopped Okra. Stir and Keep it on Low heat until the Okra is 3/4th Cooked. Add all the Masala except Salt. 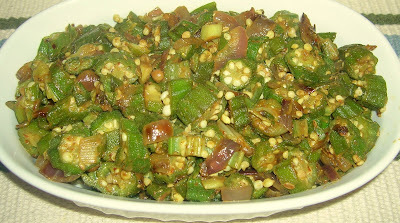 Do not stir too much as the Okra will become mushy. Fry until the Okra is slightly roasted. Add the Salt and give a stir. PS: When the Okra becomes sticky while cooking. Do not stir. Keep in in Low heat for some time. 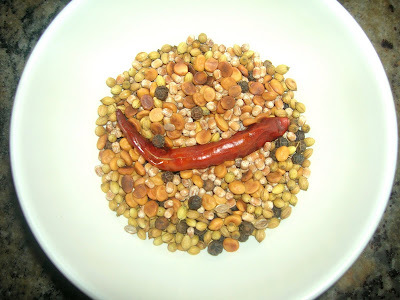 Bindi Masala can be served warm as a side for Soft Chapathis/Phulkas. Heat Oil in a Kadai. Fry the Onions. When it is starting to turn brown, add the Chopped Tomatoes. Fry for 3 to 4 minutes. Add the Ground Masala and fry for a couple of minutes or until good aroma comes. 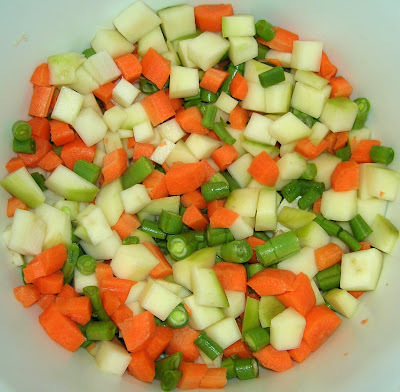 Add the Mixed Vegetables and pour 2 cups of water. Add Salt while boiling. When its done, add the Ground Coconut or 1/2 cup Coconut milk and Turn down the heat completely after a couple of minutes. 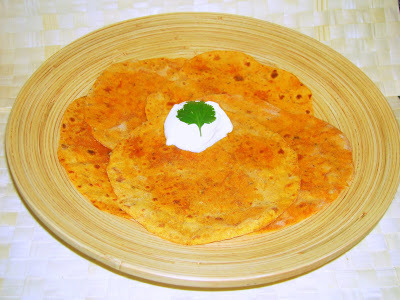 Garnish with Coriander leaves and Serve hot with Soft Chapathis. Happy Ugadhi to everyone and I would like to share the sweet of the day with all of you. An awesome treat and fully cooked in microwave. One can not even guess that the sweet's main ingredient in Corn Flour. It is sure a heavenly treat. 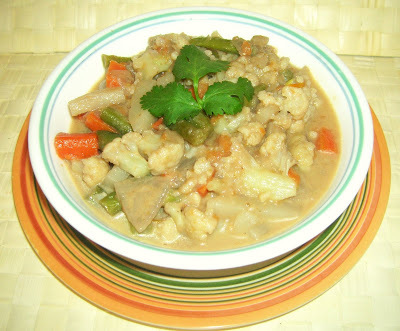 Its a no mess, fully microwave cooked, easy recipe that will be ready in minutes. 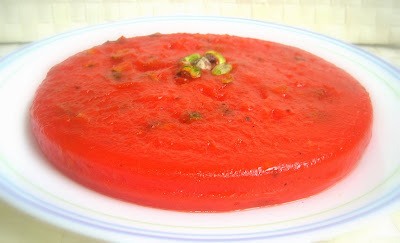 This is my Mom's recipe for Corn Flour Halwa. Here's the recipe. Take Corn Flour in a Microwave safe bowl. Preferably a little big. I used the corning ware big size. Pour 2 Cups of Water. Whisk well until there are no lumps. Mix in the sugar and whisk until even distribution. Microwave on High for 2 minutes. Stir and again Microwave on High for 2 minutes. Repeat this until the conflour's raw smell goes. If you think the content is thickening too quickly, add little water and stir until even distribution and again Microwave for 1 or 2 minutes, or until the content becomes a little semi solid and the Corn Flour raw smell disappears completely. Grease a dish with Ghee and add the remaining Ghee, Ground Elachi and the chopped nuts to the content and stir until even distribution. Cook again for a minute or two in microwave. The consistency will resemble a jelly, somewhat semi solid, trying to set. Immediately pour the content in the greased dish. Allow it to cool completely. 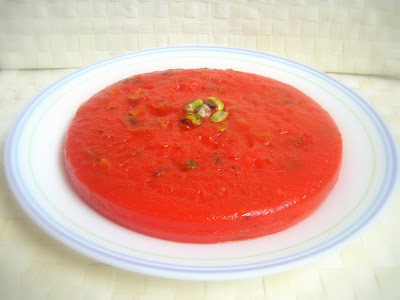 Topple the halwa in a plate. Slice and Serve. You can still enjoy the Halwa even if it doesn't slice out well. 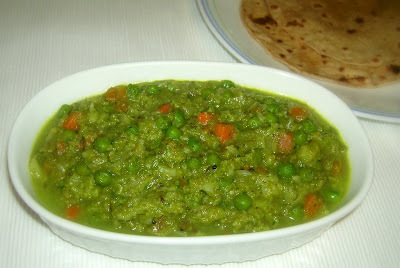 I googled for Palak Paneer. As I was searching for the recipe, I came across various versions. Got really confused which one to follow, I decided to bring up my own version. 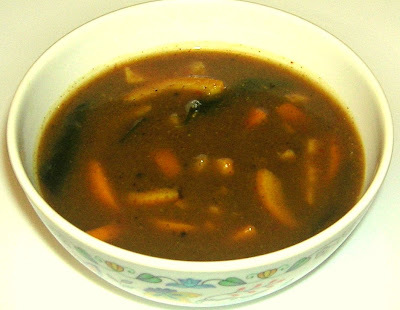 I got an idea of what the gravy consists of, so, grabbed the ingredients and started doing it in my own style. 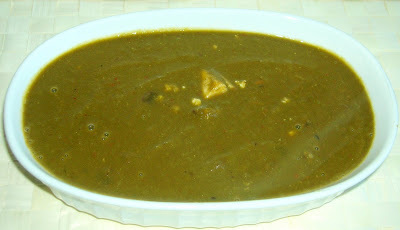 The Palak Paneer turned out really good and we all enjoyed it with the soft Chapathis. The recipe for Palak Paneer ( My version ) is very very simple. Here's it is. Pressure Cook Masoor Dal and Spinach together (adding little water) for 2 whistles and Cool. Chop Garlic, Onions and Tomatoes. Save a tablespoon of onions. Heat Oil in a kadai and season with Cumin Seeds. Then add Onion. Then, Garlic. Fry for a couple of minutes and then add the Tomatoes. Fry until all the liquid is absorbed. Cool the Content. 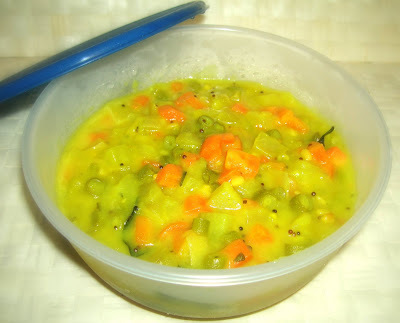 Drain water from the Spinach Masoor Dal and Save the Water. Grind the fried Tomato Onion with Cooked Spinach Masoor. Heat Oil on a Kadai and fry a tablespoon of chopped onions. 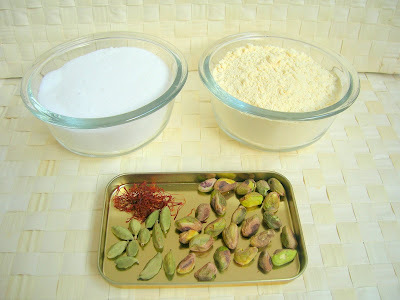 Add the Dhania Powder and fry for a second. Add the ground mixture. 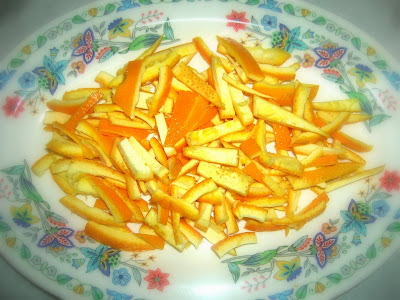 Boil in medium heat. Use the saved water to loosen the gravy. Stir in the Salt and Sugar. Add Garam Masala Powder and Red Chilli Powder. Boil the content for a couple of minutes. Add the Paneer Cubes. Turn down the heat. Allow some time for the Paneer to absorb the gravy. Delicious Palak Paneer is ready. 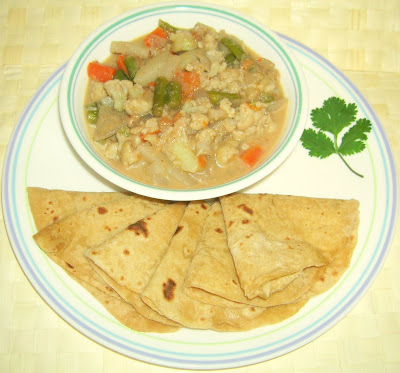 Stir in the Ghee and serve with Soft Chapathis. 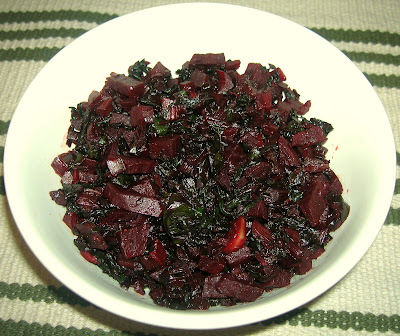 I tried Trupti's recipe for Beetgreens Shaak and it turned out very well. I really thank her for sharing such a wonderful healthy dish. I followed her recipe word to word. Very easy and quick dish. I slightly modified the recipe of Malika Badrinath's Cauliflower Kootu. Here is the recipe. Heat Oil and add Mustard Seeds, when it sputters, add the Cumin Seeds. Add the Vegetables. Sprinkle water and cook until tender. Mix in the Ground masala.